Montana Silversmiths western inspired jewelry and belt buckles are now available at Farmers Coop in Lincoln, Arkansas. Montana Silversmiths is the “Brand of Champions”, manufacturing high-quality western belt buckles, silver jewelry, and western lifestyle home décor. Montana Silversmith belt buckles bring style and personality to any outfit. Their jewelry is bold and spirited and of the very highest quality. 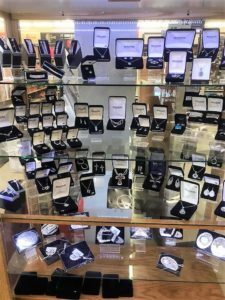 No matter which product you choose, Montana Silversmiths’ commitment to quality and superior workmanship mean you’re getting the very best. Farmers Coop, located in Lincoln, Arkansas one-stop shop for unique gifts items for the whole family. Avoid the malls and big box stores and come shop with us, where you’ll find a great selection of gift items and great customer service. The folks at Farmers Coop appreciates your business! This entry was posted on Monday, October 1st, 2018 at 7:58 pm	and is filed under News & Updates. You can follow any responses to this entry through the RSS 2.0 feed. Both comments and pings are currently closed.